Whatsapp Status Is An Amazing And Coolest Features In Whatsapp To Share With Our Best Buddies Either It Is Video & Photo. Whatsapp Status Are Available Only For A Time Period Of 24Hrs To All Our Whatsapp Contacts Until And Unless If They / You Delete Whatsapp Status. They Are Secured With End-To-End Encryption That Means Only The Sender And Receiver Can See The Information. Unlike We See Photos, Videos & Gifts And Many More We Like Some Of Them To Download It On Our Device But By Default Whatsapp Doesn’t Offer Any ” Official Feature ” To Download Whatsapp Status Photos And Videos Into Our Device. Offcourse There Are Many Ways Like We Can Take A Screenshot Of A Photo And We Can Record The Video Using Screen Recording App But Those Photos, Gifs, And Videos Decreases In Quality. 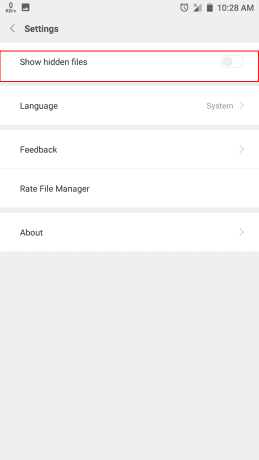 Well Here Is The Easiest Way To Save Those Whatsapp Status Photos And Videos Easily With An Easiest Trick From This Article ” How To Download Whatsapp Status [ Photos & Videos ] 2018 ”. 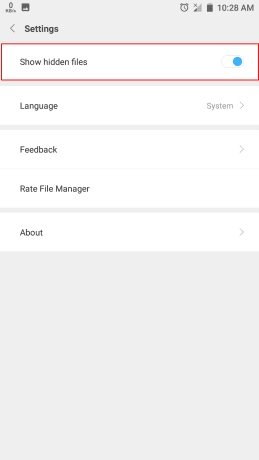 Open Up Your File Manager App And Click On The Settings Options. 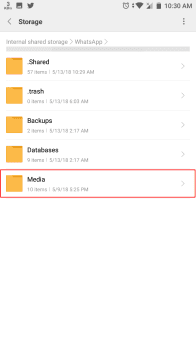 The File Manager App Is Different From One Mobile To Another Mobile. Tap On The Three Horizontal Lines And Click On The Settings option. 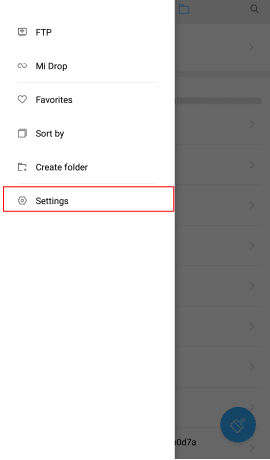 Now Enable The Option ” Show Hidden Files ” And Get Back From There And Open Up The Folder ” Whatsapp ”. 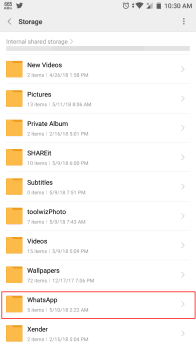 Open Up The Sub Folder Media And Again Open Up The Sub-Folder ”.Status ” Here We Can See The Photos And Videos That Are In Whatsapp Status. To Save This Into The Device First Copy The Photo / Video And Select a Path To Paste The Video Or Paste Anywhere In The Device. Now You Had Successfully Downloaded The Whatsapp Status Video In Your Device Until You Delete From Your Device. 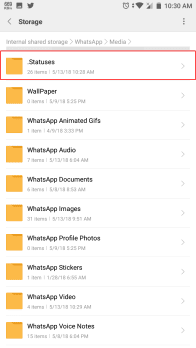 This Is How We Can Save Our Favourite Whatsapp Status Photos & Videos In Your Device Easily.